Although, Amazon’s Kindle Fire device requires a password for purchases larger than $20, it is still a good idea to stop Amazon In-App Purchases on Kindle Fire to completely rule out unauthorized purchases. As you must have noticed, most free Apps and Games are limited in content and many of these Apps prompt users to buy the paid version or make In-App purchases, in order to unlock more features. This increases the chances of kids being lured into making In-App purchases, while they are playing games on your Kindle Fire device. Most of the times, young children do not even realize that they are spending real money. 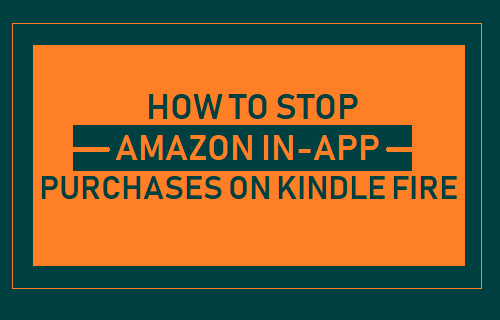 Hence, there is a need to Stop Amazon In-App Purchases on Kindle Fire, in order to completely rule out the possibility of anyone making unwanted purchases on your device. 2. 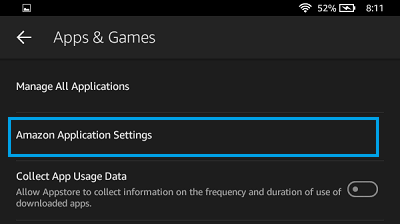 On the Settings screen, tap on Apps & Games option located under “Device” section. 3. 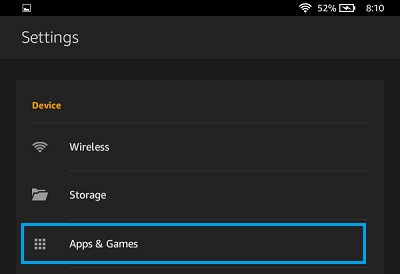 On Apps & Games screen, tap on Amazon Applications Settings. 4. On the next screen, tap on Appstore. 5. On App Store Settings screen, tap on In-App Purchasing. 6. On the next screen, remove the check mark for Allow In-App Purchasing by tapping on it. 7. 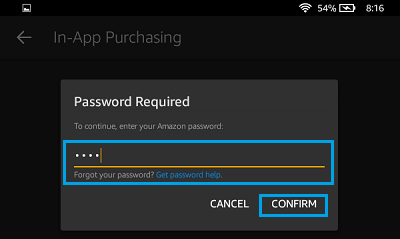 If prompted, enter your Amazon Password and tap on Confirm. After this, no one will be able to make purchases on your device without entering your Amazon Password. Unless your kids somehow learn your password, they will not be able to make any purchases on your device, while playing games on your device. Note: The above steps disable In-App Purchases only on Amazon’s App Store. In case you have installed Google Play Store on your device, you will also need to disable In-App Purchases for Google Play Store. 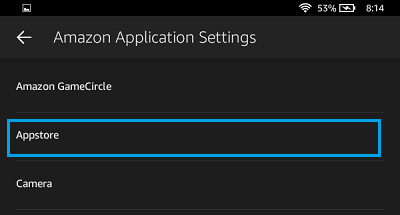 In this regard, you can refer to steps provided in this tutorial: How to Disable All In-App Purchases on Kindle Fire.